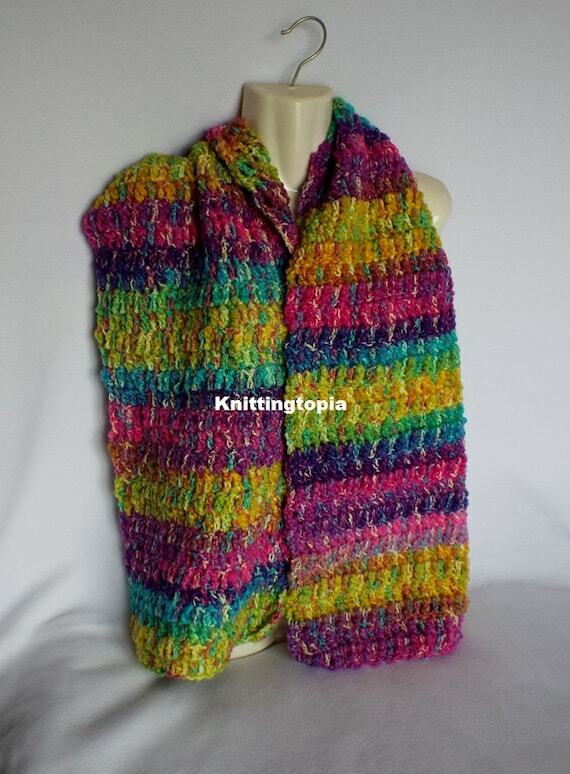 Super soft and chunky, this gorgeous multi-coloured scarf will keep you warm and cosy. I have used a variegated yarn which has quite bright colours of pink, purple, blue and green. It measures 12.5 inches (31.75cms) wide and 60 inches (152cms) long.